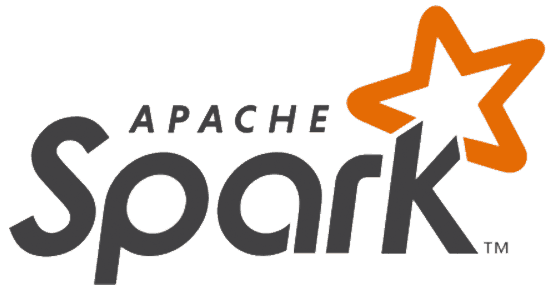 In my previous post I have talked about Apache Spark. We have also built an application for counting the number of words in a file, which is the hello world equivalent of the big data world. And you can use this spark variable the way you’d use other context variables. Now, you might try to use an RDD to read this, but let’s see what we can do with Datasets. What we see here are the lines of the text file. Each line in the file is now a row in the Dataset. There are now a rich set of functions available to you in Datasets which weren’t in RDD’s. You can do filters on the rows for certain words, do a count on the table, perform groupBy operations, etc all like you would on a Database table. For a full list of all the available operations on Dataset, read this: Dataset: Spark Documentation. We’ll use this data, which I’ve put in a file named fake-people.csv, to work with Datasets. Let’s create a Dataset out of this csv data. You can read in json data similarly as well. So, I generated some json this time from mockaroo. Note: Spark can read json only of this format where we have one object per row. Otherwise you will see _corrupt_record when you print your dataset. That’s your cue to make sure the json is formatted as per spark’s need. And you read json very similar to the way you read csv. Since in json we don’t have headers, we don’t need the header option. You can see the order of columns is jumbled. This is because JSON data doesn’t usually keep any specified order and so, when you read JSON data into a dataset, the order might not be same as what you’ve given. Of course if you want to display the columns in a particular order, you can always do a select operation. And that would print it in the right order. This is exactly like the SELECT query in SQL, if you’re familiar with it. Now, that we have seen how to create Datasets, let’s see some of the operations we can perform on them. Select one or more columns from the dataset. Filter a subset of rows in the dataset based on conditions. And that sorts the dataset in the reverse order of the column first_name. Those are some of the functions that you can use with Datasets. There are still several Database table type operations on Datasets, like group By, aggregations, joins, etc. We’ll look at them in the next article on Spark as I think this article already has a lot of information already and I don’t want to overload you with information. So, that is all for this article. If you’re someone that has never tried Datasets or Dataframes, I hope this article gave a good introduction on the topic to keep you interested in learning more. The full code is available as gist. This is the fifth article as part of my twitter challenge #30DaysOfBlogging. Twenty-five more articles on various topics including but not limited to Java, Git, Vim, Software Development, Python, to come.